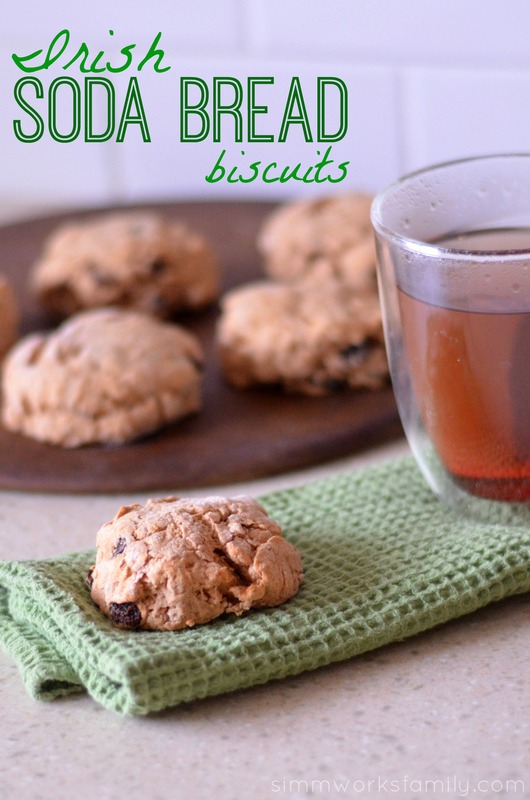 This Irish Soda Bread Biscuits recipe is sure to hit all of the right spots when you pair it with a delicious cup of tea or coffee morning, noon, or night! 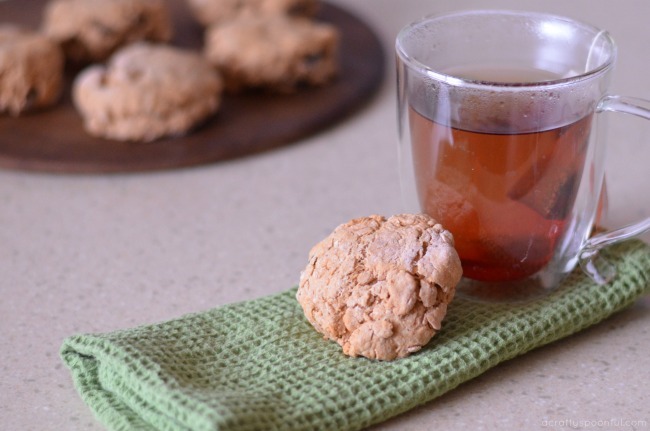 This Irish Soda Bread Biscuits recipe is easy and quick. Perfect for those times you can’t make a full loaf of Irish Soda Bread for the family. I love a good breakfast scone. 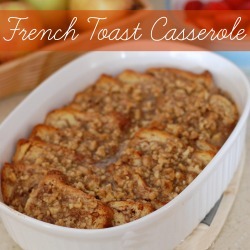 Perfect to pair with coffee or tea and fills me up! With St. Patrick’s Day around the corner I thought I’d take one of my family’s favorite quick bread recipes for Irish Soda Bread and turn it into a mini version to appease the kids. And these unique biscuits really hit the spot. 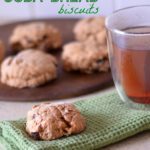 This Irish soda bread biscuit recipe is not only simple but can be made with ingredients found right in the pantry. And the results are just heavenly! Flakey, soft, and delicious. Especially with a schmear of butter. If you’re looking to start your day off with the luck of the Irish then this biscuit is for you! By taking our favorite soda bread recipe and turning it into biscuits, I’ve been able to teach the kids how to make quick breads and tips for adapting recipes based on our needs. It’s a great way to introduce kids to bread baking before jumping into yeast recipes. Another great part about sharing the baking experience with our kids is that we get to spend quality time together. I’ve found that I can talk about a number of different topics when we’re in the kitchen together that they may not have been as receptive to if we were talking in the car or around the dinner table. When the kids are doing something with their hands, they seem to keep the conversation going without any real prompting. It’s a beautiful thing! 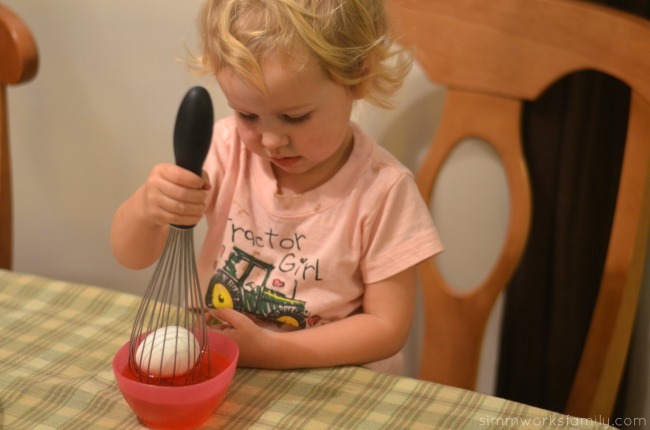 I find that these types of recipes are good for all ages. 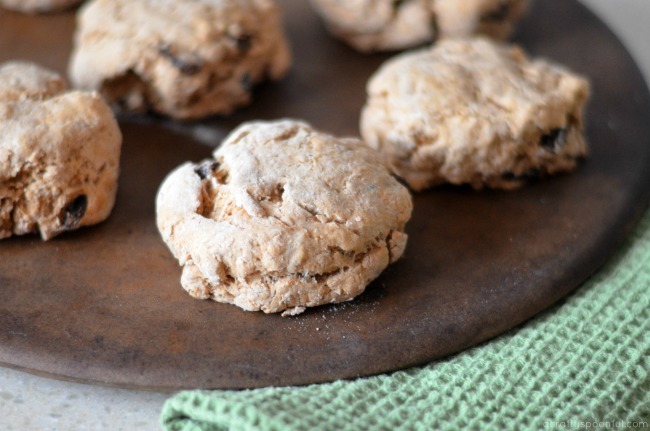 From toddlers to teens, you can’t go wrong with an irish soda bread biscuit recipe. If you’re looking for a good Irish Soda Bread recipe to try after these biscuits, check out Alea’s Irish Soda Bread recipe. Preheat the oven to 375. 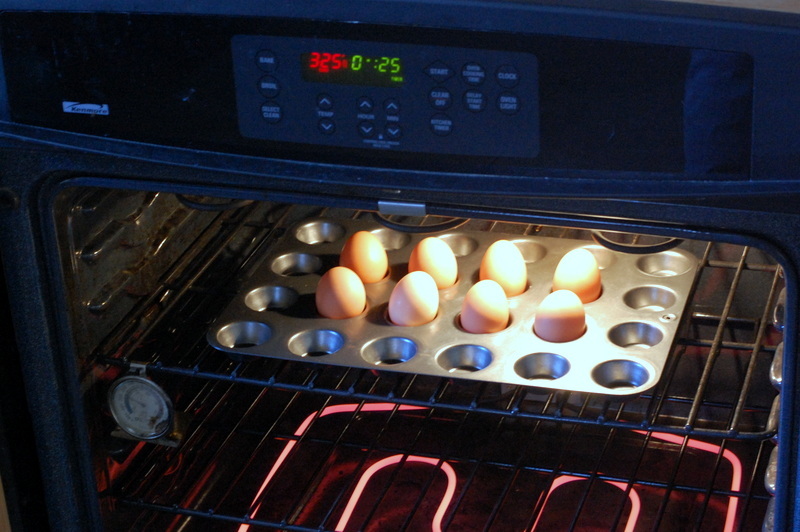 If using stoneware, place stoneware in the oven while it’s heating up. 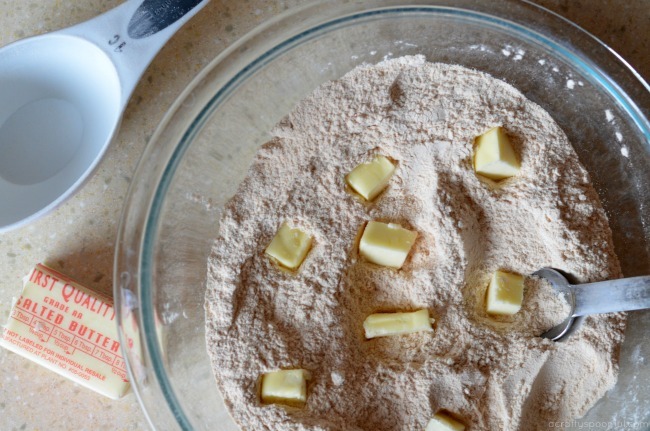 Combine flour, sugar, baking soda and salt in a bowl. Work in butter by hand. Make sure to use your fingers to mix it into the dry ingredients. 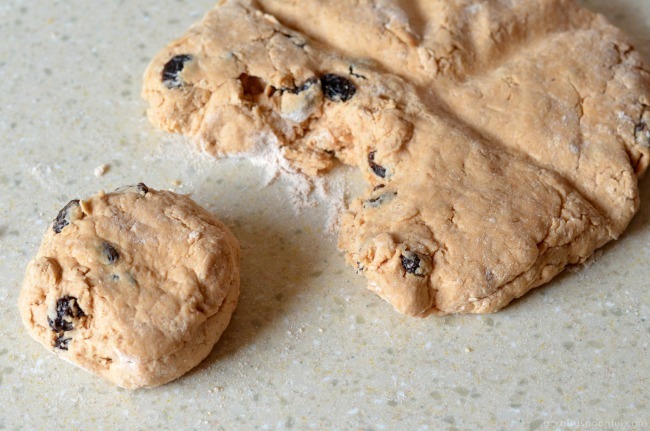 Add in the raisins and buttermilk and combine together with your hands. Pat out the dough and form into a disk about 1 inch thick. Divide the disk into 6 equal pieces and roll into 2-inch rounds. Bake at 375 degrees for 15 to 18 minutes. If you do not have buttermilk, grab some low-fat milk and vinegar (I use apple cider vinegar). Combine 3/4 cup milk with 1 teaspoon vinegar. Stir and let sit for 5 minutes. This post was first featured on this site on Feb 10, 2013. Looking for more St. Patrick’s Day fun? 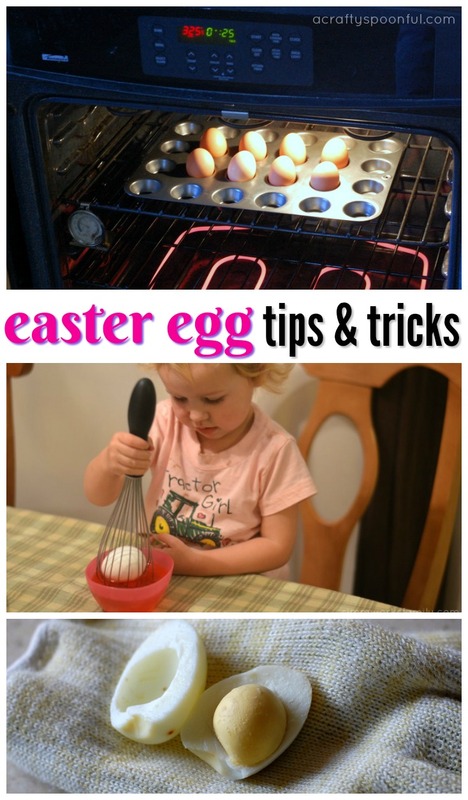 Check out these activities and recipes! These recipes are easy to throw together and are the perfect pairing to any cup of coffee or tea. 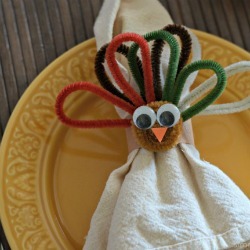 Get the kids in the kitchen with these fun recipes they’ll enjoy! December is finally here and that means Christmas is literally weeks away. I love to decorate my home using my Cricut machine and being able to add such personality into my project is always a plus. 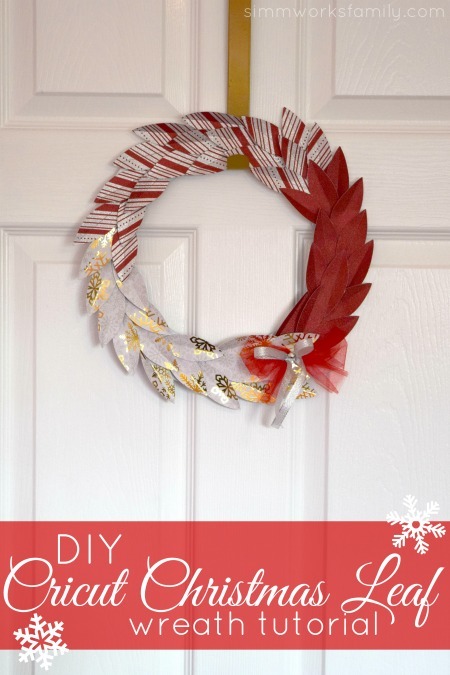 Today I’m sharing this DIY Cricut Christmas Leaf Wreath tutorial using a variety of Glittered Paper and Christmas Paper. 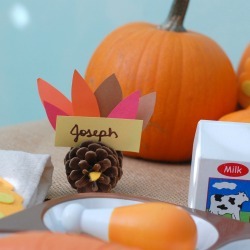 Not only is it super easy to make, but it’s also one of the free designs that can be found in Cricut’s design space. I am a member of the Collective Bias® Social Fabric® Community. 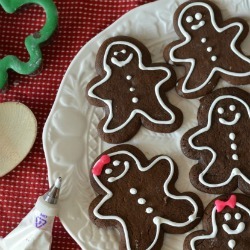 This Land o’ Lakes butter shop and gingerbread recipe have been compensated as part of a social shopper insights study for Collective Bias and its client. The holidays are here and my kitchen is in full gear for all of the holiday baking that’s going to be done over the next two months. Luckily I stocked up on butter and the rest of my needed pantry staples so that I can whip up whatever I need when the time comes. Since I’ve been hosting quite a few playdates I wanted to test out a great cake recipe that wasn’t too sweet. My husband and I love baking and the number one rule in our home (and a little inside joke with the husband) is that our fridge can never be without butter. 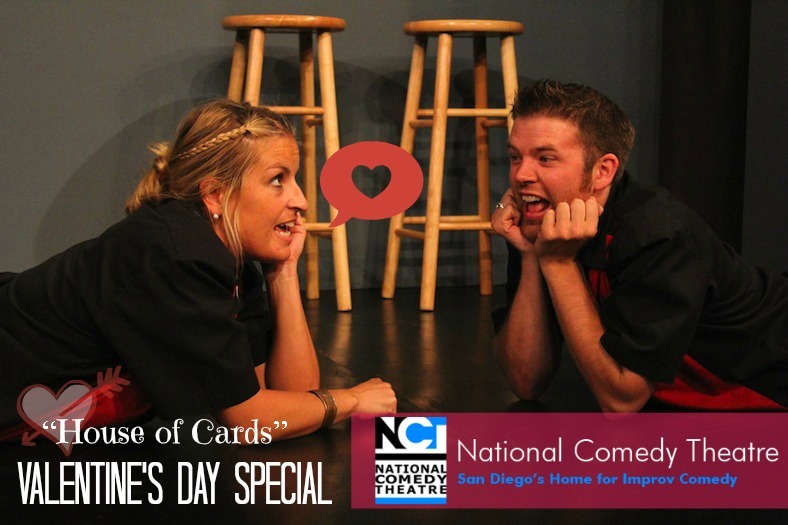 Looking to do something special with your significant other but just don’t know what? Well you’re in luck! Living in America’s Finest City has it’s perks. Great food, entertainment, and weather! The perfect combo for an awesome Valentine’s Day. 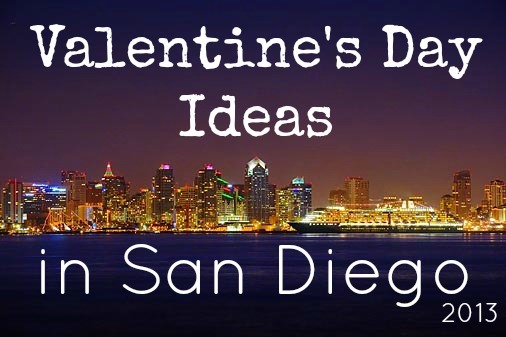 Below are a few great Valentine’s Day Ideas in San Diego. With Valentine’s Day right around the corner and my little ones asking for crafts to make together, we’ve started to work on a few Valentine’s Day crafts. Including the valentines my kids will be passing out at preschool and with our playgroup. 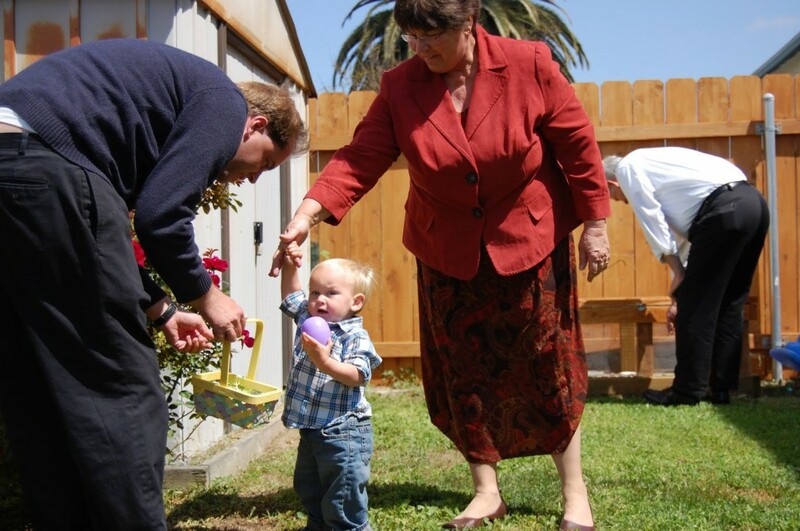 But aside from the valentines we also love creating mementos we can cherish and pass along to grandparents and other family members as well to show our love. 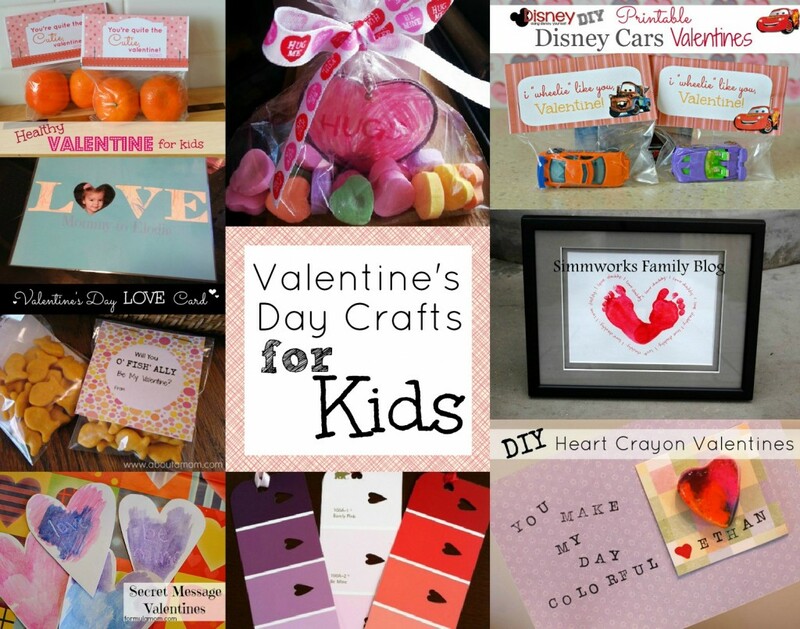 These great valentine’s day crafts for kids are perfect for just that! 1. Looking for an easy but cute valentine for the kids to pass out this year? Why not use these Printable Disney Cars Valentines from DisneyDIY? Christmas is right around the corner and the days are flying by. 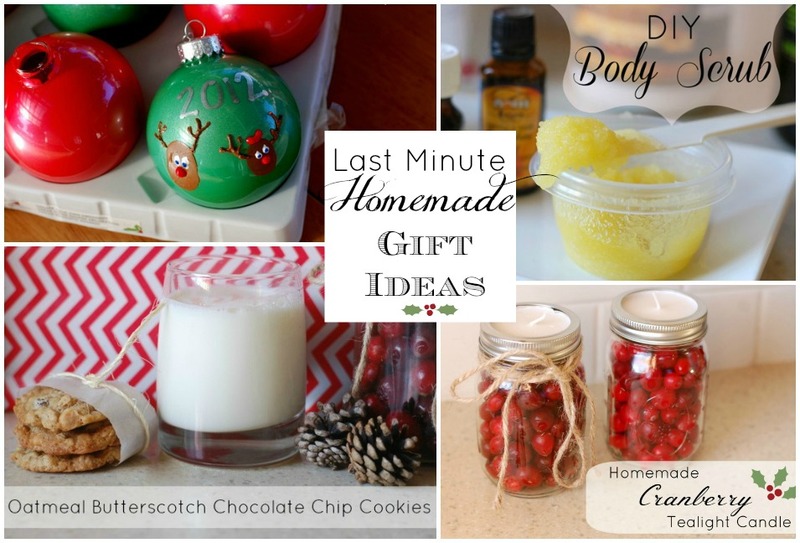 If you haven’t completed your Christmas shopping consider these last minute homemade gift ideas! Each is simple, easy, and from the heart. 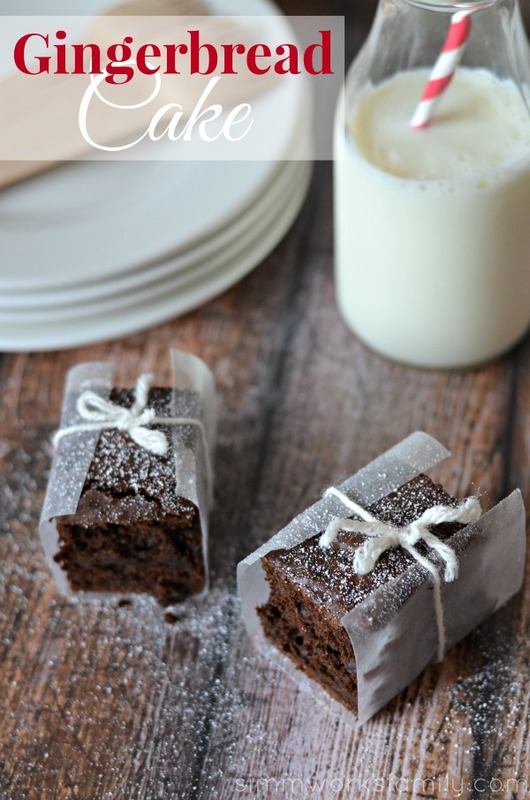 With few ingredients and supplies you can create a gift perfect for any friend or family member. Sometimes the holidays are just more fun when the foods we eat are festive. 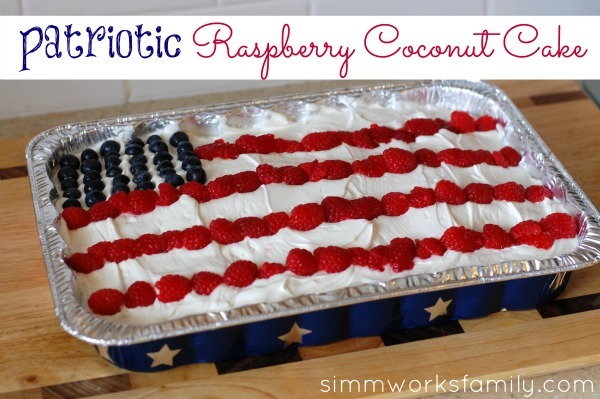 So in celebration of the 4th of July I made this delicious, and very easy, Raspberry Coconut Cake. This cake is the perfect addition to any summer party and will please all of your guests! Desserts don’t have to be fancy or made from scratch every time. When you’re in a pinch, using boxed mixes and sprucing them up a bit to make them your own is the perfect solution. 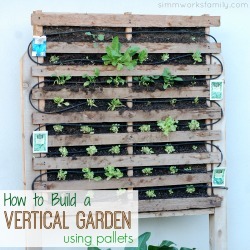 If you have a summer party to go to (or if you’re hosting one) this is sure to be a crowd pleaser! And per my father-in-law’s suggestion… next time I may add a bit of rum to the mix to change the flavors a bit. We had a wonderful day today. It all started with pumpkin carving and ended with a wonderful Halloween party at my neighbor’s mother’s house. Little E had a wonderful time with all the kids and I took many pictures! Everyone loved his costume and we got many compliments for it. Most were shocked to find we made it ourselves but it was so simple I couldn’t see NOT making it! 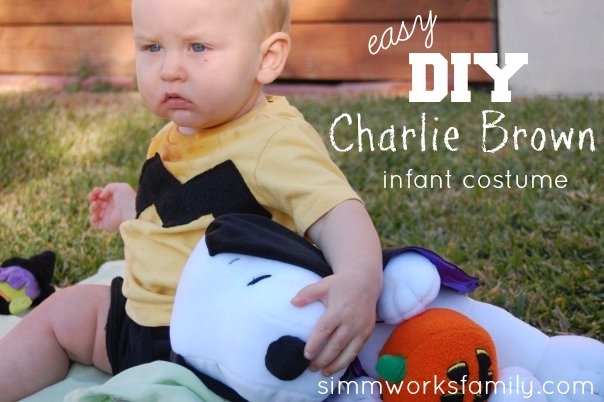 Since this was Ethan’s first Halloween we didn’t want a costume that would make him too hot or uncomfortable so we stuck with an easy Charlie Brown costume. A t-shirt with a squiggle and shorts, how simple is that! Ok guys… this can’t get more simple. Cut your black fabric in a zig-zag pattern. Apply No-Sew to the back of the fabric and adhere to shirt. Let dry completely. 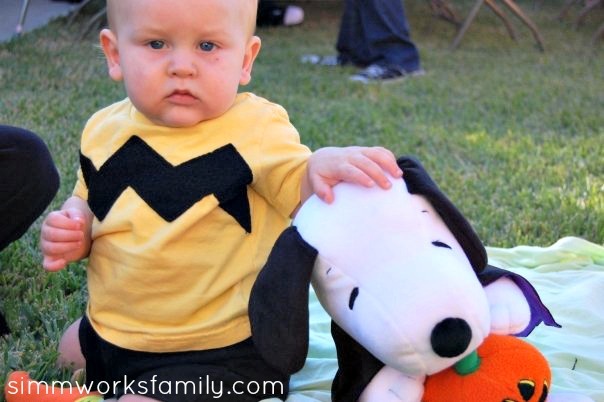 Try the shirt on, add the black pants and brown shoes and your Charlie Brown is ready for his big debut! 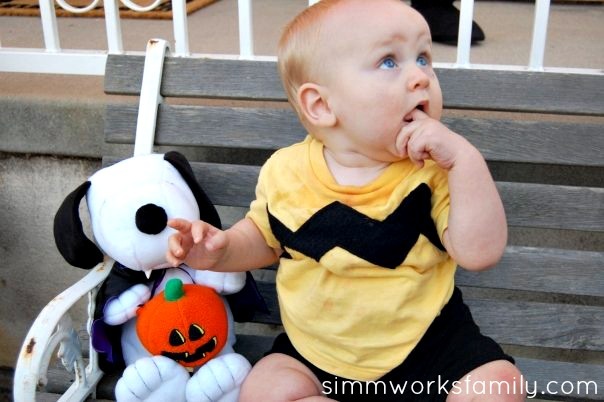 Remember to add Snoopy for an added touch so no one will ask what your little man is for Halloween. 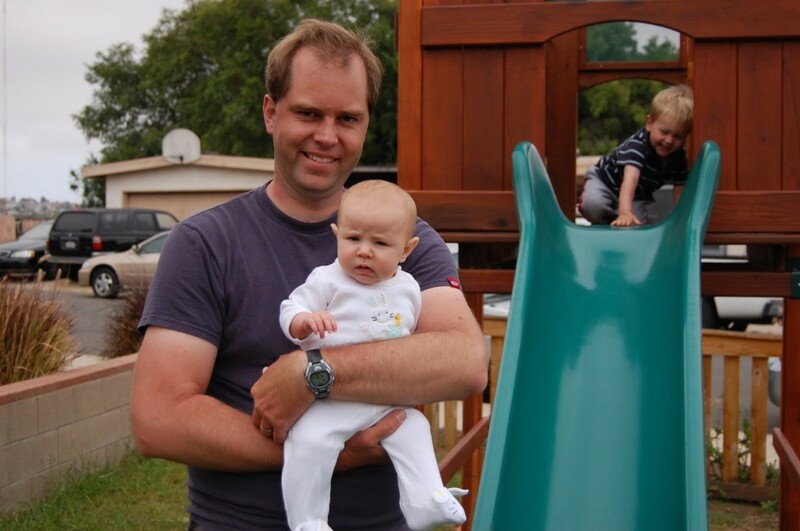 Extra bonus points if baby is still bald… like mine! My husband made an iron-on transfer for his shirt that had a picture of Charlie Brown and it said “Wah, Wah, Wah” all over it and underneath Charlie it said “Charlie Brown’s Dad” so everyone would know what the “Wah, Wah, Wah” meant. So cleaver he is! And one more showing Charlie Brown with his Pirate mommy… my neighbor is the lady in front of me with the most adorable panda bear 🙂 He’s 5 months old and we always talk about how E and him are going to be the best of buds when they’re older. 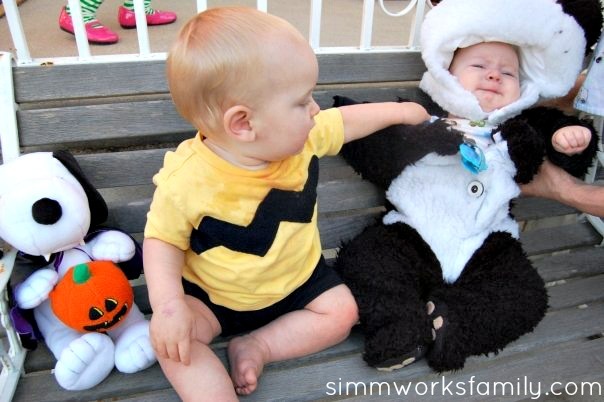 I hope everyone had a safe and Happy Halloween!